Last week, I traveled to New York City by air and used trains, taxis and buses en route to Philadelphia. All the while, I carted along my luggage–and it’s a good thing I like to travel light. Indeed, I almost never check in luggage, no doubt a remnant of my days as an expatriate, when I was required to travel throughout Europe at a moment’s notice. But I love traveling with only one bag. It’s incredibly liberating. I revel in the challenge of fitting everything I need into one Eagle Creek convertible backpack/suitcase. This latest trip was no exception, and I planned to do a little shortwave and medium wave DX along the way. So which radio did I reach for? Oddly enough, none of those I listed from my travel radio suggestions, my usual stand-bys. This time, I chose my Grundig G6. 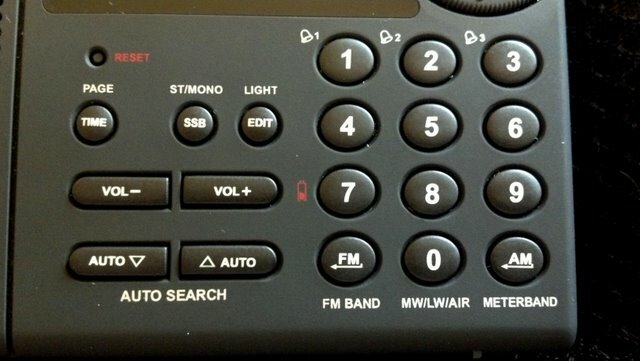 Keypad for direct entry and as with most Grundig radios, the G6has a logical, simple key combination for entering frequencies. I have had a mini Grundig G6 review out for a couple years now in which I praise it highly. I am surprised to find that many other reviewers only give it a lukewarm rating. I believe a lot of this stems from the fact that the radio’s aircraft band (117-137 MHz) is not terribly sensitive or selective. Since purchasing the G6, I’ve only used the aircraft band once–during review. I leave aircraft and VHF/UHF listening to a proper scanner, preferably one with triple-conversion circuitry. Yet I find that the Grundig G6 performs quite well on the shortwave and medium wave bands. Last week, while in NYC and Philadelphia, I was surrounded by big signals and didn’t hear many instances of overloading or imaging. Sure, larger portables (like the Grundig G3, Tecsun PL-660, Sony ICF-SW7600GR, Sangean ATS-909X) will outperform the G6 on SW and MW, but none of those radios can comfortably fit in my pocket. In fact, the G6 is so small that it can get lost in my suitcase–oh, there it is, tucked among my socks. The portables mentioned above, though reasonably sized, will need some dedicated space. There’s another plus about the G6. It feels good in your hand. I have big, clumsy fingers, yet I still manage to punch in the frequency correctly every time. Having the (smooth) tuning knob in the upper left corner of the radio where it’s accessible both on the side, and (more importantly) on the face, was a stroke of ergonomic genius by this little radio’s designer. I wish more manufacturers would do this. It’s so easy and comfortable to band scan using your thumb on the face of the tuning wheel, which is great when you’re sitting around a campfire or listening to FM on a bumpy bus ride. Don’t get me wrong: if I were going on a DX vacation where I needed top-notch filtering, sync-detection and SSB, I would not pick the G6. For the odd business trip, though, it’s the perfect little radio. The G6 even has an external antenna connection. The Grundig G6 has been on the market a long time, in a consumer electronics life span. I would not wait to purchase one. Occasionally, RadioShack (in the US and Canada) will close out their stock of shortwave radios and the G6 can be found at bargain prices. Universal Radio currently has a promotion where if you buy a Grundig Satellit 750 for $299.95, you will receive a free Grundig G6. You get both a large portable/tabletop radio and a pocket-sized one in the same deal. That’s great value! Want specifications and other reviews of the Grundig G6? Check out our G6 entry in the Shortwave Radio Index. This entry was posted in Shortwave Radio, Shortwave Radio Reviews and tagged Grundig G6, Grundig G6 review, Grundig G6 Reviews, Grundig G6 Shortwave Radio Review, Shortwave Radio Review, Shortwave Radio Reviews on March 10, 2012 by Thomas. I just received a grundig g6, I haven’t had a whole lot of success receiving a whole lot with the whip antenna. Can someone recommend an external antenna that works with this radio without it overloading, as I’ve read is a common problem with this one? What time of day are you listening? What freqencies, bands are you trying at what time? Local evening or morning are best. Higher frequencies in daytime, lower in local (or far-off) evening. for a quick summary of what might be around. Count other languages (Spanish, Chinese, French etc.) as “hits”as well as English catches. I’ve been listening in the evenings on the lower bands, ive been able to pick up a handful of religious broadcasts, radio Havana and a Chinese station. Other than that not much with the whip antenna. Well, that is usual for late evening in North America. Now rise the other end up-and-out. To a curtain rod, end of the house etc. The main thing is to try the right times and frequencies. They, the stations, don’t broadcast 24 hours. It is inefficient to broadcast in the day when the ionosophere is high and the ‘bounces’ are short, at night the ionosophere is lower and the skips are much longer in the range of 1000 km. Try to catch RNZI or Radio Australia in your listening time. These boom across the Pacific, and the ‘bounces’ reach North America. When the ionosphere is charged up and polar conditions are bad then you can get the South Americans much better and other equatorial stations with the polar signal quietened. A general language tutorial (there are some narrowed to radio if you bing/google) is at https://fsi-languages.yojik.eu/languages/spanish-index.html Has the books (PDF) and tapes (MP3 files) for the US Foreign Service courses. The Hörfahrpläne und Sendepläne of ADDX.de at http://addx.de/Hfpdat/plaene.php can tell you what languages are being broadcast by whom and when. Try it for various stations that you might want to hear. And you could tell us where you are listening… East coast, west coast, central. in an apartment, in a house, clear view of the sky, radio noisy environment. Some people drive up to a local mountain, turn off their car and listen there. There may even be space to (safely) lay out 2 kilometres of wire to create a strong directional antenna. I am very happy to own G6 Aviator. I think it is the most compact radio available with its features. Though, I also feel that with today’s available technology, scope is vast. I wish if someone could use new technology and make some advanced radio sets, something like Sony ICF SW 100 of 1990s probably. Engineers can do wonders now. I had this radio. After I’d had it almost a year, it started coming on, playing 87.5 FM at full blast. completely unresponsive to my control. I took the batteries out each time, them just left them out and shelved it. a few months later I plugged it to a wall charger and it operated normally for a week. Then it unceremoniously lit up the display like this: 88888.88. Then died completely. For the year before its odd demise, i regarded it as competent, nothing more. I could listen to Cuba with stability. 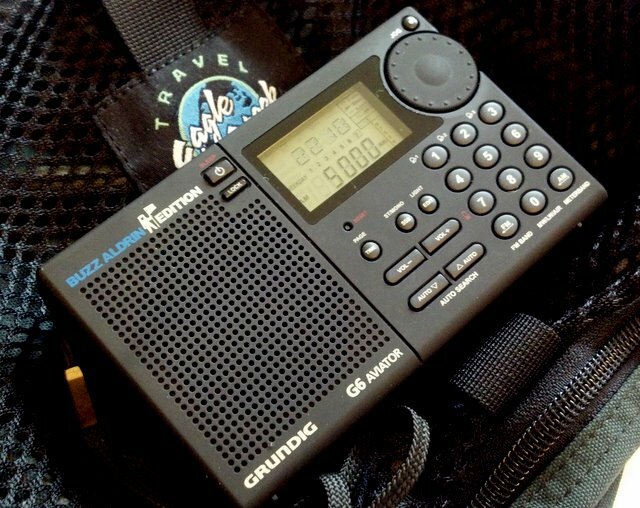 If any shortwave portable can’t at least do that, it’s not worth owning. 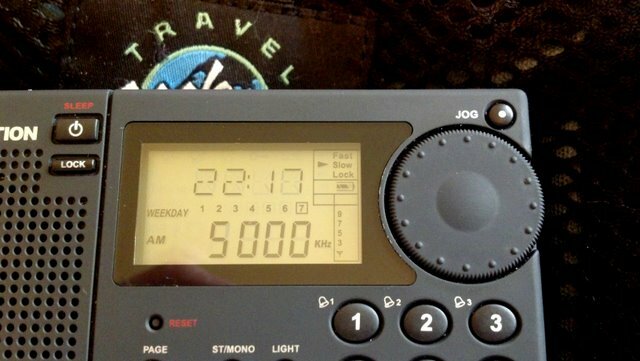 I could listen to Radio Australia in the morning- another simple feat for any shortwave portable. I never received anything that merited use of SSB. Air band was a non-feature. FM was ok, nothing spectacular. MW was fine, perhaps even a tad better than the PL-660. 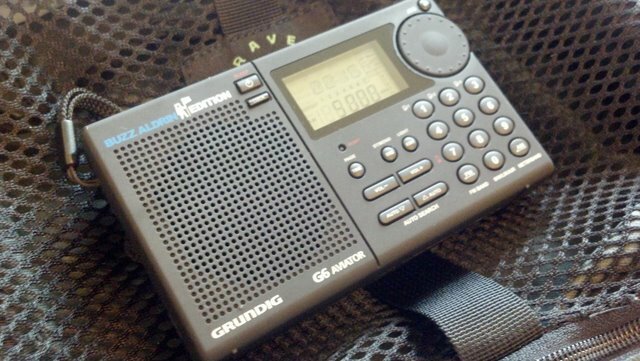 I liked the idea of a very portable shortwave that cost much less than a Sony SW-100. It was cute. It said “Buzz Aldrin.” It was an impossible-to-resist impulse buy at Radio Shack on a trip out of town when I craved some radio enjoyment. If I had known in advance what it would be like to use it, I would not have wasted my money. Now it’s 2015 and I own a Tecsun PL-310. This radio is so much better than the G6. Amazing how the shortwave landscape has changed so rapidly over two years even at this “late” (maybe not after all!) stage in the game. Had my Grundig G6 finally lock up. That is the [key] symbol of the hold button is now permanently on. Can’t receive anything because I can’t turn it on. Yes when it worked, the Air was uneven reception. Very good review, for a very good radio for its price. I got the Buzz Aldrin edition at Radio Shack on sale for $50. The review is right about the SSB tuning. I set the SSB on and JOG slow, which allowed me to continiously tune the SSB signal. Apparently, as I tune up in frequency, the SSB tunes DOWN, until it reaches the next Khz, when it jumps to the next kHz up. Sort of backwards tuning. I am a ham and i bought the radio because it had SSB/CW reception. CW works nicely and I can copy many stations easily. I do not expect a CW filter at this price. In fact, just the cw filter will cost many times the price of this set. Yes, the manual is very confusing, but if the company would contact me, I would re-write it for them, for free. Why don’t companies take advantage of their fan base? Very good review of this radio. As far as pocket radios go I know of none better. The tuning wheel as the reviewer says is a stroke of genius. No muting or excessive cuffing so you can have great fun band scanning. Especially good for those new to SW. Fine tuning on SSB is a challenge but with practice I have gotten very good at it. Just be ready to collapse the antenna if you get overloading. If only this radio had a Aux Line-in it would be my travel radio. I have a video on my YouTube channel snowpuppy77 comparing this radio to the Tecsun PL-606. Yes, the G6 has been a great travel companion over the years. Simple and effective. I’ll check out your video! i picked up my G6 for $29.99. it is an okay radio. the air band receive is complete hogwash, SSB is okay not great. i wonder if the G3 is better than the G6? It’s true that quality really can vary over time with shortwave portables. I’ve found this to be the case with Degen and Grundig especially. Thanks for the advice! I had this radio for 2 years before it broke down. Thomas is right. The airband on this radio is a serious disappointment, not because you expect it to be good, but because this radio is named AVIATOR and endorsed by BUZZ ALDRIN. You expect it to be good. This is the one that should be named TRAVELER. Besides that, I’d like to add some cons to this your review in order to explain the lukewarm ratings. It is indeed a very small SW radio with continuous range from 150KHz to 30 MHz and usable SSB reception. This means that you can take it anywhere and listen to everything! But it has various problems with its firmware that render the memory and alarm system completely useless. Then the MW has no sensitivity, the FM has no selectivity at all, and the AIRBAND plasters FM stations all over the spectrum and doesn’t have a scan function. It is a radio for a maximum of 50USD, like the Kaito KA 1103 or the Tecsun PL 660. Not 100USD like it used to cost 3 years ago. It was a radio for 4 out of 5 stars. And then all AM died. Meaning that my G6 now only has its so-so FM right now. 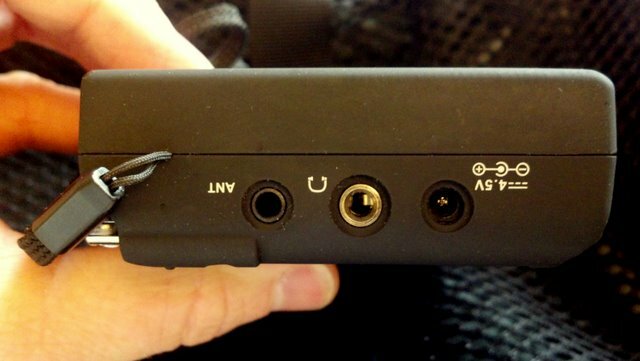 I suspect that “poor static protection on the exterior antenna connection” could also be added to the “con” section. I’d give it now 3 out of 5 stars. Nice spam Paul. It’s a sight that lists 6 stations in Florida airing the same AM crap that is quickly killing radio. 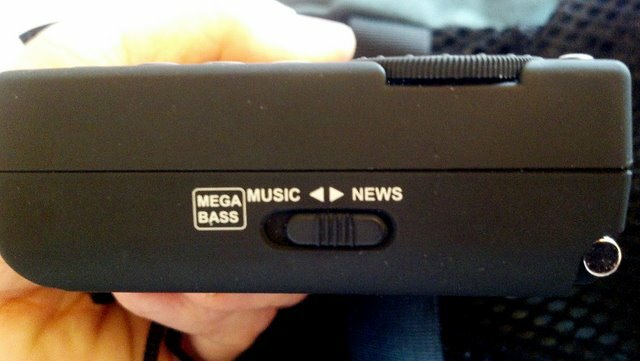 They don’t sell this radio, or any others. Radiogenesis.com has this radio for $40 + $16 shipping.